"The public is wonderfully tolerant. It forgives everything except genius" - Oscar Wilde. What is genius? -"An exceptional intellectual or creative power" (Oxford Dictionary). I suppose it is fair to say that most people are of average intelligence. Some may be described as 'bright' or 'clever' or even 'gifted'. Few of us would be acclaimed as a genius. Without doubt, Isaac Newton, Mozart or Einstein were geniuses. Mozart began composing at the age of five. Studies have suggested that playing Mozart to babies could raise their IQ level. Genius is a hard phenomenon to define or to understand how it comes about. It is not really satisfactory to simply say that genius is defined by a set score in an IQ test. For the purpose of this introduction I will use the definition that a genius is a person who is not only extremely intelligent but one who breaks new ground or is innovative with new discoveries, inventions or works of art. In any consideration of intelligence, even genius, the brain has to be central. Every part of being alive and functioning properly is dependent upon the brain, the control centre. The brain goes further than that and allows you have a memory, to think and to learn, store and analyze information and to be creative. The brain may well be a part of genius but when it is affected by disease the result can be devastating. Shortly after the beginning of the Second World War, a couple met at a medical research institute. Both had studied at Oxford University, Frank Hawking studied Medicine and Isobel, Philosophy Politics and Economics. Isobel entered the University in the 1930s and was one of the first women to do so. Frank became a medical researcher with a speciality in tropical diseases and in the 1950s became head of parasitology at the National Institute for Medical Research and the family went to live in St. Albans. It would be reasonable to describe Frank and Isobel as clever - but not as geniuses. Following their marriage, the couple had lived in Highgate. When Isobel became pregnant with her first child, they sought greater safety in Oxford, away from the danger of bombing in London. Stephen William Hawking was born in Oxford on January 8th. 1942. Those who knew the family considered them highly intelligent, albeit a little eccentric. They lived a frugal life in an untidy, badly maintained house and drove around in an old London Taxi. (Common to a number of very clever people I have known, such mundane tasks as cleaning, throwing away potato peelings and removing dead plants from the window sills never seems to occur to them!) Evidently, meals were often taken in silence during which they would all read a book. Frank's work often took him to Africa. During one such period Isobel took the family to Majorca for four months visiting Beryl, a friend of Isobel, who was married to the poet Robert Graves. On their return Stephen attended Radlett School for a year and then entered St. Albans School from September 1952. Frank wanted his son to attend the prestigious Westminster School, but without a scholarship the fees could not be afforded. The thirteen year old Stephen missed the exam through illness and so he remained at St. Albans. In his early days, in spite of his nickname "Einstein", Stephen did not initially shine academically. He loved making things; fireworks, model planes and boats - not unusual for a young boy perhaps. Quite remarkably he built a 'computer' capable of solving arithmetical problems, from clock parts, an old telephone switchboard and anything he could recycle,. Now that was hardly 'usual'. In 1959, Stephen, at the young age of seventeen, won a scholarship to Oxford reading physics and chemistry. Perhaps a clue to his future abilities, he found the work "ridiculously easy". On gaining a First Class degree at Oxford, he went on to become a post graduate student at Trinity Hall Cambridge. His finals at Oxford resulted in a borderline position between the award of a First or Second Class degree and a First was essential to his research place at Cambridge. The matter had to be settled by a 'viva' or oral examination. It was said that the examiners "were intelligent enough to realise they were talking to someone far cleverer than most of themselves." So, we have a picture of a probable genius who had the potential to be top of his field in cosmology and physics. However, a cruel blow was lurking under the surface - illness. It was in his latter days in Oxford that worrying symptoms began to show. He became clumsy, fell on the stairs and had physical problems with rowing, his primary sport. His speech became slurred, and, on a holiday at home one Christmas, his parents were alarmed to notice the indications of a problem and it was decided to seek medical investigations. The diagnosis was shattering - he had Motor Neurone Disease or ALS, an incurable neurological condition and was given just two and a half years to live. The nerves that controlled his muscles were shutting down. He was just twenty-one. Such a diagnosis is always going to be shocking and horrific but for a young man with a brilliant brain, at the start of what promised to be an important and groundbreaking academic career, it was a tragedy of devastating proportions. His first reaction was to give up and he saw little point in continuing his studies and research. Happily, that was all to change - he fell in love. He met Jane Wilde, a languages student. They married in 1965. She was an inspiration to him and encouraged him to resume his career as if nothing was wrong. Hawking himself has said that in a odd way his illness helped him to become the distinguished scientist of today. "I was bored with life before my illness, There had not seemed to be anything worth doing." We only tend to see the public image of the man but there must be many times of deep blackness. He appears to have an indomitable spirit and harbours an ambition to take a trip in space. ALS sufferer’s mental facilities remain intact. Stephen Hawking is fully aware and still academically brilliant. Yet what a cruelty that such a mind is trapped inside a failing frame. 'A Brief History of Time' stayed on the British Sunday Times list of best-sellers for a record time of 237 weeks. What are Motor Neurone Diseases? We take for granted our ability to speak, breathe, swallow and walk. Messages or signals from cells in the brain (upper motor Neurones) are sent to the brain stem and spinal cord (lower motor Neurones) to particular muscles depending on the function. If these signals are disrupted, then muscle function is impaired resulting in weakening, wasting away, and twitching. Speech may become slurred or impossible and eventually swallowing and breathing may become very difficult. MNDs must rank as one of the worst and most frightening of illnesses. There is no cure or standard treatment. Some drugs can help to alleviate the symptoms and promote palliative care. Life expectancy is variable across the range of different MNDs. Sufferers can be helped by a wide range of specialist mobility products. Stairlifts, bathing aids and electric recliner chairs can generate not only physical mobility but also greater confidence and comfort. 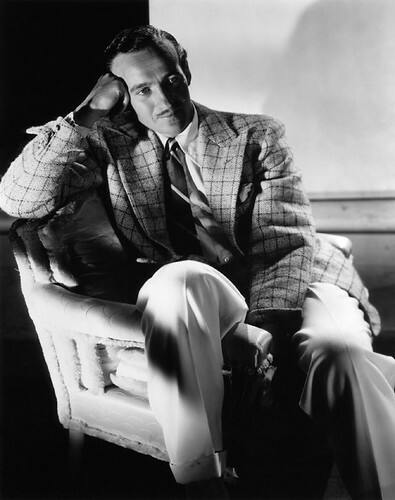 David Niven - "The only real gentleman in Hollywood"
Genius takes many forms and is not limited to the sciences. The arts also have their share of the highly gifted. Film goers will remember the wonderfully stylish performances of David Niven, one of the archetypal English gentlemen actors. What may not be so well known is the fact that he too developed motor Neurone disease. To give him his full title, James David Graham Niven was born 1st.March 1910. He was from an affluent background and attended the prestigious Stowe public school. His initial choice of career was to join the Army and after Stowe he undertook officer training at The Royal Military Academy Sandhurst. On being commissioned as a second lieutenant he joined the Highland Light Infantry. "Could you tell me the time sir? I have to catch a train." The result was that Niven was arrested for subordination and placed under close guard. Having shared a bottle of whisky with his guard (a future Colonel) he was allowed to escape via a first floor window. Clearly, the time had come to leave the army and he headed off to Hollywood. With the outbreak of World War II, Niven returned to England and once again joined the Army. By the end of the war he held the rank of Lieutenant Colonel. His style of leadership being influenced by his film background led to this briefing of his troops before an action which now seems to be so typical of Niven and no doubt built up his men's morale. "Look you chaps you only have to do this once but I'll have to do it all over again in Hollywood with Errol Flynn." David Niven went on to a build a highly successful film career. Amongst his many major films were 'Round the World in Eighty Days','Casino Royale' and 'The Guns of Navarone'. The end of his career began in 1980. 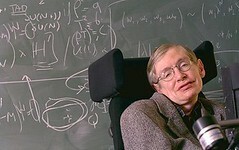 In common with Stephen Hawking, he became aware of muscle weakness and lack of control and his voice developed a slur. It is sad to reflect that when he appeared on the Michael Parkinson chat show, people were shocked to think that he was drunk. He secretly went into hospital and was diagnosed with Motor Neurone. With the blessing of his family, he refused to go into hospital. He declined very rapidly. David Niven died at his Swiss home in Chateau d'Oex on 29th July 1983 at the age of seventy-three. At the outbreak of the Second World War, Leonard Cheshire joined up in the RAF. He was assigned to Bomber Command and was one of the youngest of the RAF's commanding officers. High amongst his achievements was an eight month posting leading No.617 Squadron -'The Dam Busters'. following in the footsteps of the first commander, Guy Gibson. In 1944 he was awarded the Victoria Cross. He considered himself to be a very lucky man to have survived the war in the air and had a desire to do whatever he could to build a better world. Leonard Cheshire's lifetime efforts to help disabled people all began with a call from a hospital. Not a friend really, more an acquaintance, was dying and the hospital asked if the man could come and live with him. He agreed and so began what was to become a worldwide humanitarian charity. In 1959 Leonard married Sue Ryder and they set up home in Cavendish, a village in Suffolk. Sue and Leonard traveled widely on humanitarian missions. The charity running 'Cheshire Homes' continues to this day. He was admitted to the Order of Merit in 1981 and was made a life peer in 1991, taking the title 'Baron Cheshire of Woodhall in the County of Lincolnshire in recognition of his time in the RAF. How cruel was it that such selfless service in both the war and in humanitarian work at home and abroad, was cut short by motor Neurone disease? Leonard Cheshire died on July 31st. 1972. He was aged seventy-four. Managed in the Middle East including United Arab Emirates, Dubai and Egypt. Donald George Revie was born in Middlesbrough, Yorkshire 10th July 1927. The young boy was brought up by his father, his mother having died of cancer in 1939. At that time Don was just twelve years old. It seems that his passion for football developed early in his life. He began life too poor to own a football so he made a ball out of old rags and honed his early skills in the backyard. Don gained a place with his local team, 'Middlesbrough Swifts'. His first professional signing was for Leicester City in 1944. Revie's career was not without controversy. His supposed style of 'unconventional' management incurred mush criticism. The England management claimed that his club level tactics were not appropriate for the national team. There was also friction with FA Chairman Sir Harold Thompson. Thompson, it seems, would not trust Revie's judgement and interfered with team selections and on a number of occasions publicly undermined his manager. All came spectacularly to a head in 1977 when Revie, still under contract, resigned his England job. It was not only that he was the first manager to quit of his own choosing, but the FA were understandably incensed that Revie sold news of his decision to the Daily Mail before they, the FA, had received his letter of resignation. What was seen as being even worse, Revie had taken a highly lucrative job as coach to the United Arab Emirates with a contract of £340,000 for four years - a tidy sum in 1977, even seen against today's Premiere League salaries! Management and many supporters would not forgive or forget what they saw as self-interested disloyalty. The FA decided to take draconian measures. Charged with bringing the game into disrepute, Revie was suspended from football for ten years. Revie contested the decision in the courts resulting in it being over turned. The FA were never to forgive this defeat and in the UK Revie's career was finished. But the final demise of Don Revie was not to be at the behest of the FA. Revie retired to Kinloss in 1986 where he would have hopefully enjoyed some less turbulent days and focused on playing golf. But that 'happy ending' was not to be. He became aware that he was not hitting a golf ball with any accuracy. His wife had noticed an awkwardness in the manner in which he moved his left foot and his speech was showing the early stages of a problem. He was finding that he couldn't fasten the buttons on his shirt. The legendary footballer and manager had been struck down by Motor Neurone Disease. Typical of Revie, he announced the news publically in August 1987. The fans at Elland Road took their old hero to their hearts and welcomed him onto the pitch as an honoured guest from where he waved to the crowd. He stayed to watch Leeds United beat Manchester City 2-0. That, for Revie, must have been an occasion of huge emotion. His last appearance at Elland Road on 11th May 1988 was in a wheelchair. This occasion was a charity match to raise money for Motor Neurone Disease Research. Don Revie died, aged sixty-one, in Murrayfield Hospital, Edinburgh on 26th May 1989. Even in death, from a dreadfully unforgiving illness, the FA, to their shame, were equally unforgiving. No representative of the FA attended the funeral. At the England v Scotland match at Hamden Park, on the day following the funeral, there was no minutes silence and no black arm bands. Others from the world of football did pay their respects and farewells, including Jack Charlton, Billy Bremner, Alex Ferguson, Dennis Law, many referees and the Daily Mail columnist Jeff Powell. At a memorial service to give thanks for Revie's life, held in Leeds, the congregation was addressed by Paul Maddeley. Amongst the congregation were Trevor Cherry, David Harvey, Maurice Lindley, Terry Yorath, Paul Reaney, Joe Fagan, Gordon Taylor, Norman Hunter and Kevin Keegan. Revie's statue stands outside Elland Road. During what is referred to as the Colonial Period (19th century), after a history of instability and internal tribal power struggles, the Gold Coast became a British Protectorate - a British Crown Colony. During March 1957 The Gold Coast became the independent country of Ghana, Nkrumah remained as Prime Minister and Queen Elizabeth II remained monarch, represented by a governor general. The new status was not to remain in place for long. Following a referendum in 1960 Ghana was declared a Republic. There is a long history of immigration into Britain from the former Gold Coast. In 1912. One Eugene Brown and his brother John came to England. On the outbreak of World War 1, both Eugene and John, signed up in the British Army and went off to fight in France. It was a fateful decision. John was killed and Eugene was badly injured, but initially survived. He came home after the war and Eugene married and had two sons, Doug and Roy. Tragically, Eugene died as a result of his injuries. The boys were brought up by their mother, a girl from Stoke-on-Trent. I think her name was Daisy. war was also to interrupt the Regional League which did not resume until the 1946-47 season. After the war, Roy resumed his playing career with Stoke City, scoring fourteen goals in seventy-four games. In 1953, Roy transferred to Watford, a club in Division Three (South). During the war, his brother Doug trained as a physiotherapist and worked with wounded soldiers, helping them on the road to recovery. At the end of the war, he worked with the then newly formed National Health Service and many years later was the senior physiotherapist at Bucknall Hospital, in Stoke-on-Trent. Doug also had connections with Stoke City, his brother's old Club, not as a player but as a physiotherapist. Doug did a great deal for the local area, including founding 'Lad and Dads' matches, 'Trubshaw Cross', on local school fields, normally closed at the week-ends. The idea spread across areas such as Bentilee, Biddulph, Leek, Stoke and Newcastle-under-Lyme. Doug's innovative scheme lead to the creation of the North Staffs Junior Youth League in 2003. Doug's work for football and youngsters was recognised on a number of levels. Two footballers, Garth Crooks and Robbie Earle, both with roots in Stoke-on-Trent incidentally, nominated Doug for the BBC Peoples Award. Doug Brown had, without doubt, a social conscience and was dedicated to improving the lives of the less privileged, especially the young, in The Potteries. Standing as an independent candidate, he became a Stoke-on-Trent councillor but was later to join the Labour Party, the strongest group in a traditionally safe Labour seat. This was the time when football hooliganism, often with a background of pre-mediated 'fixtures' blighted the image of football, making it not such a 'beautiful game'. Doug Brown was elected Lord Mayor of Stoke in 1984. Doug was determined to tackle the hooligan issue. His scheme was known as 'Match Mates' which aimed at bringing together rival groups in friendly, sporting rivalry to counteract the hooligan culture. His scheme was copied in many towns with some success. Doug's initiative was recognised in 1990 with an award from Diana Princess of Wales. The role of Lord Mayor was bestowed on him for a second time (1997-1998). Doug Brown's political career was approaching its end. In the elections of May 2000, he lost his seat in Stoke. The circumstances seem rather odd, but from what I can find out he was deselected as candidate for his traditional Blurton Ward and fought for a seat in the less likely Trentham Ward which he failed to win. Political failure was not the least of the challenges to affect Doug Brown in his later years. He was to face being diagnosed with a form of Motor Neurone Disease. He battled bravely, continuing as President of the local Chinese community and as Founder Chairman of 'Lads and Dads' football until his death at the age of eighty. Doug's tragic illness caught the attention of a local company specialising in aids to mobility such as stairlifts, electric beds and recliner chairs. Castle Comfort Centre of Wolstanton, Newcastle-under-Lyme, are well respected for innovative charitable work. Founder and Managing Director, Keith Simpson, launched a fund raising appeal for research into MND in the memory of Doug Brown. Over the years, Castle Comfort Centre have helped bring relief and some increased mobility by providing many sufferers with their specialist products. In August 2014, Keith's company recently went to the great lengths of donating and transporting a riser-recliner chair to a lady sufferer, not in Newcastle-under-Lyme or even Stoke-on-Trent. Juana 'Alita' Lemes lives in Lanzarote in the Canary Islands! Follow the link to watch a video of how the story unfolded - it is heartening. Motor Neurone Diseases are cruel, debilitating, life changing and, as yet, incurable. In common with cancer, they are no respecter of persons. Rich and famous, poor and unknown, it makes no distinctions. Thanks to the MNDA vital support is available and thanks to fundraisers and supporters, the search for a cure goes on. Superb to see the lengths that Keith and the team at Castle Comfort Centre went to enabling the safe delivery and installation of furniture in Lanzarote!! A worthy cause indeed! Well done Keith and Co at Castle Comfort!